"The Chew" co-host Carla Hall didn't get married to her husband until she was 42 years old. It took a special man -- Matthew Lyons -- to truly understand and appreciate her infectious personality. Hall explained on ABC News' "Celeb 101" -- a video series in which celebs break down what they've learned in order to become a success -- what her 10-year marriage has taught her. "The best thing about being married is going to the bathroom with the door open," she said, laughing. "I say that because ... everybody has to do it. There's no pretense." "You're being your true self ... it's like you can't hide from being your human self," the co-host of "The Chew," which airs on ABC-TV, continued. "I think when you're in a really honest and open and beautiful marriage, it's like, 'This is who I am and I know you love me for who I am.'" 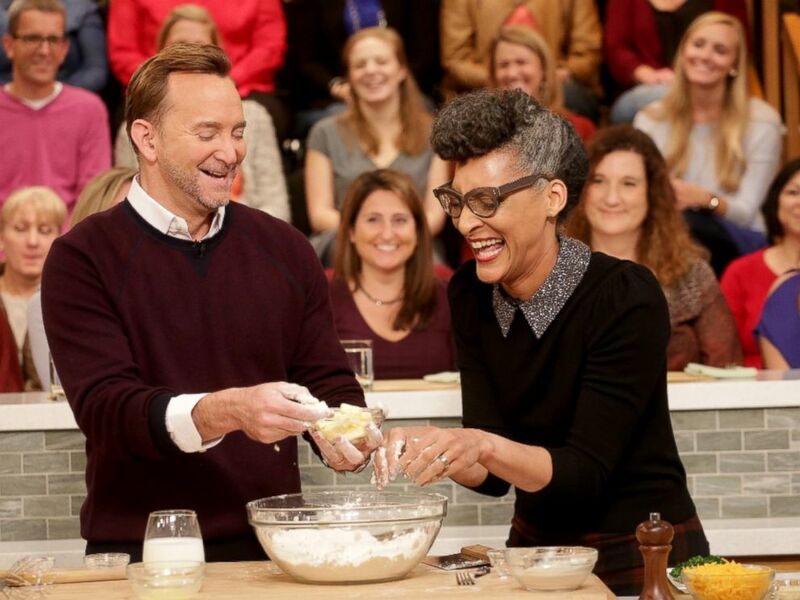 Clinton Kelly and Carla Hall prepare a dish together on "The Chew." Hall, 52, said another love of her life, cooking, has led her to form a new partnership with Aldi just in time for the holidays. The celebrity chef is offering recipes, cooking tips and other kitchen hacks on its website. "You don't have to forego quality to have affordability," Hall said of her partnership. "And making the holidays memorable and magical and bringing the family together shouldn't cost you an arm and a leg."